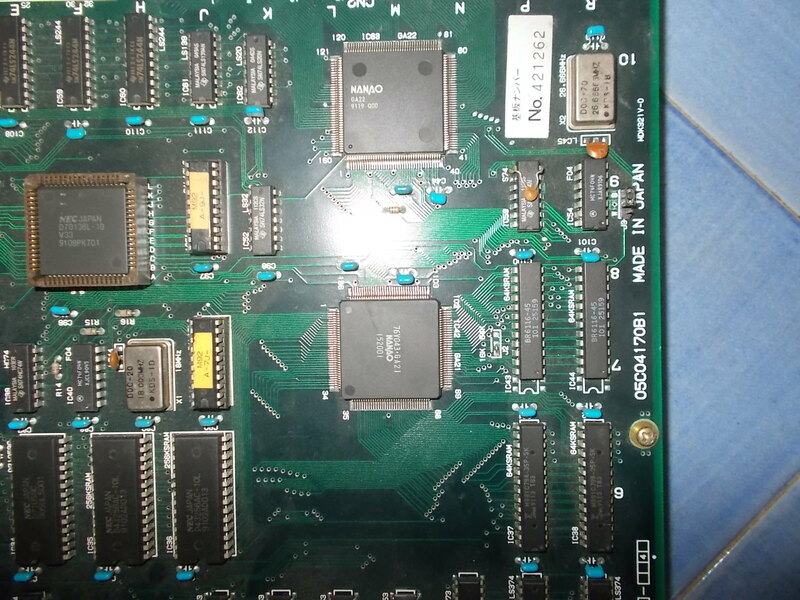 Received some Irem 92 boardsets mostly for replacing preventively the infamous ELNA brown electrolytic capacitors but two of them were faulty too. 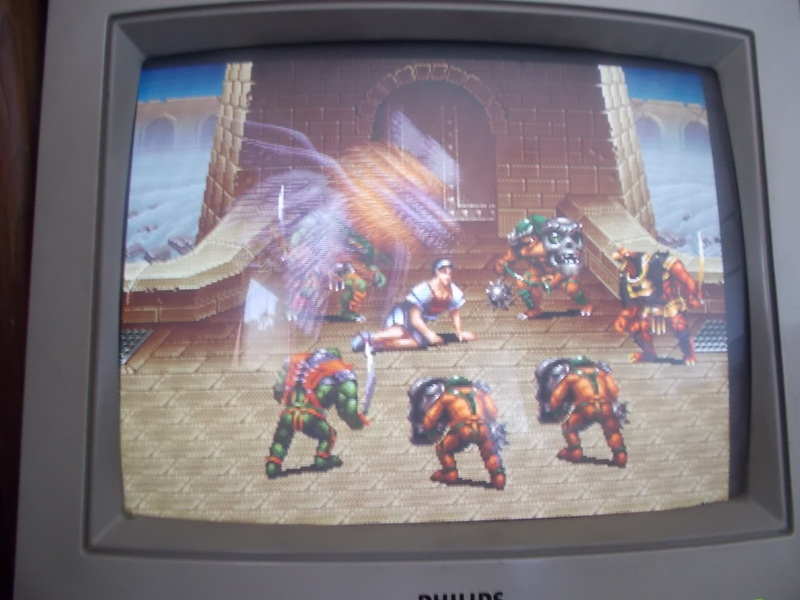 The first was a Cross Blades (japanese version of Blade Master! 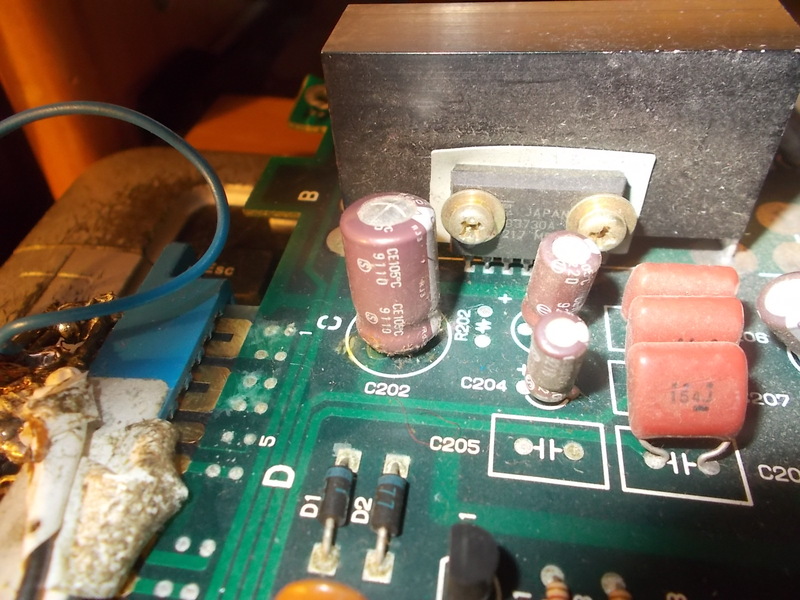 ), board had green ELNA capacitors so no strict need to replace them. Hi Caius! Amazing work! I’m Sergio and I’m from Spain. 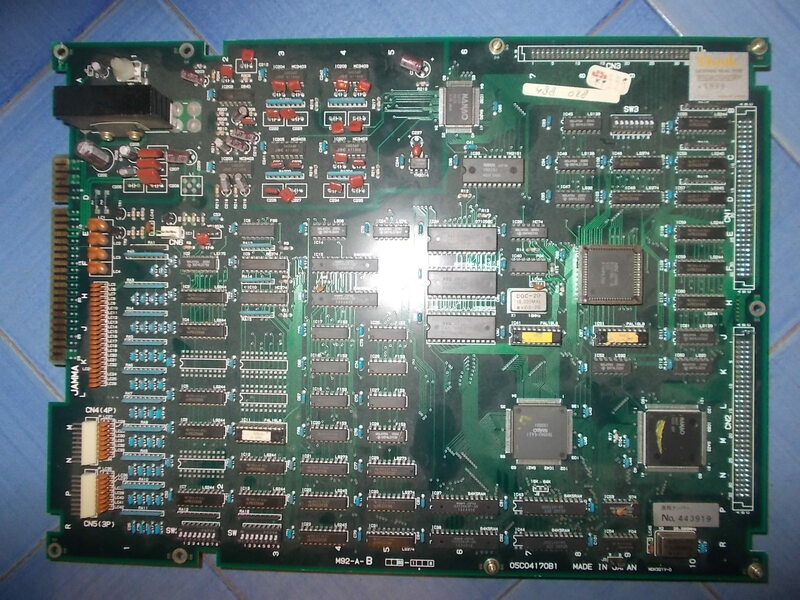 Recently I’ve got an “In The Hunt” M-92 board that have no sound at all. Video works perfectly but any sound outs from board (neither music nor fx). I’ve kept the game running for quite a few minutes and the general sound amplifier has not even warmed up a bit. This seems a little strange to me and I suspect that the amplifier itself is broken. I tested it and power arrives perfectly to the amplifier (5V and ground are connected properly). Is it possible that it is an amplifier problem? or could it be produced by another component around it, like a condenser? I also plan to change them near in the future to avoid future leaking. first of all you should determine if the lack of sound has digital or analog nature.This is up to your hardware knowledge and skills.You may “listen” the audio circuit with an audio probe to see if sound is correctly generated but then lost somewhere.Try also to swap a good known motherboard to se if fault lies on this or on ROM board (if on ROM board, then the cause lies in digital circuit).Have a good job! Hi! Thanks for your quick response! 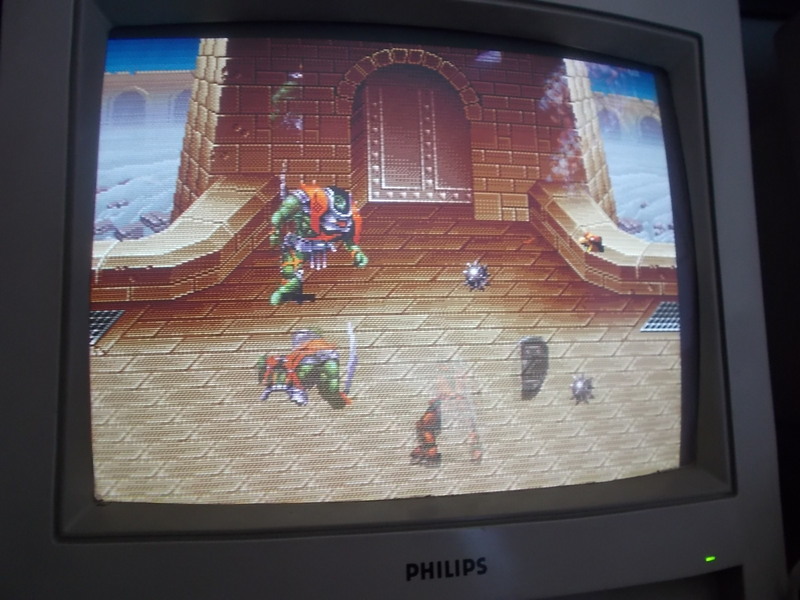 I don’t have any other Irem M-92 board to swap, so I will try to test if audio is correctly generated. 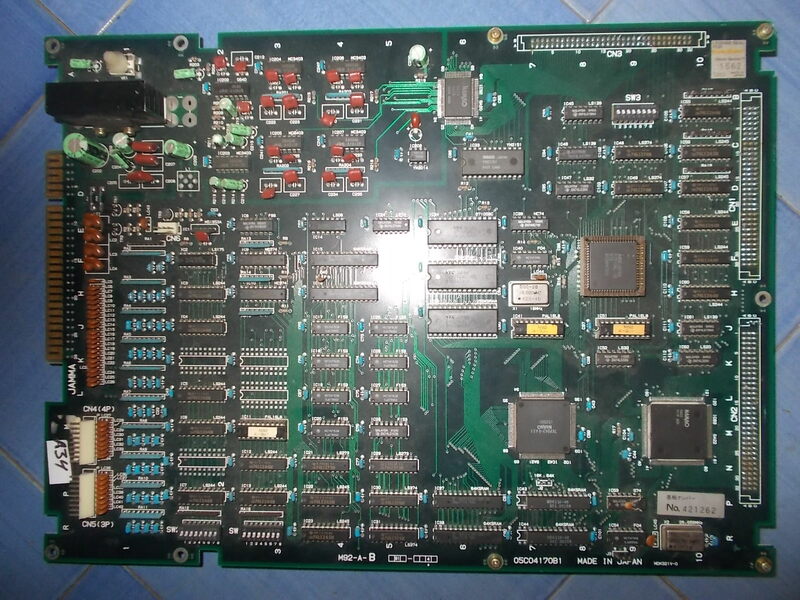 I have no Audio probe gadget, so I will try to connect a pair of auto-amplified PC speakers to the output of Yamaha DA Converter mounted in this motherboard (I think is a Y30148) to see if at least the music from Yamaha FM YM2151 (not the sound fx) are generated correctly. I think the problem is located in analog audio circuit, because it would be very strange if both sound generators (Yamaha and Nanao) failed simultaneously. I just checked audio signal just before audio amp with an audio probe and… voila! audio signal reaches the amp. 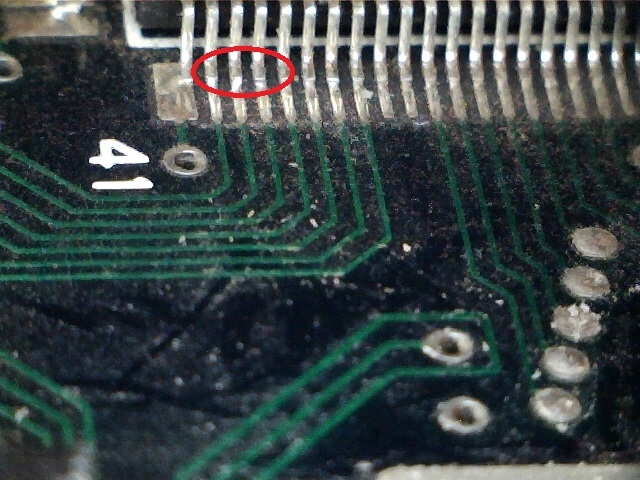 Then I checked voltage through audio pins at jamma edge and it surprise me… It outs about 4 volts… to much for an audio signal (even amplified). The thing is that the problem is between audio pot and jamma edge. This means that it can only be the amplifier or the large capacitor at its side. there are no more components until the output. With these symptoms, can it be possible to be the reason of the problem? Before replacing all capacitors, measure the ESR with a proper meter. (if you have it).If you look, you will find!